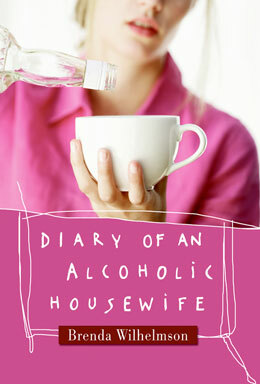 She published her diary and exposed her alcoholism to the world. What was Brenda Wilhelmson thinking? Brenda Wilhelmson is experiencing her 15 minutes of fame. Her book, Diary of an Alcoholic Housewife, is getting serious attention thanks to Wilhelmson’s raw and honest account of recovery behind the picket fence. Renew caught up with the new author last season as she caught her breath between morning talk show gigs. Renew: Is it hard for you to look back and read some of the things you wrote in Diary of an Alcoholic Housewife? Brenda Wilhelmson: Not now. I put my journals away for a year and a half before I took them out and started putting them into my computer and editing them. During that time, there were definitely parts that were difficult for me to read. Renew: Second thoughts as you were writing? BW: I questioned whether I wanted to do this all the time. But you never know how far it’s going to go. You don’t know if it’s actually going to get published. So I decided, if it was meant to be, it would get out there. It was at least helping me stay sober. It was a journey of self-discovery, for sure. Renew: Do you think high-functioning addicts have a hard time getting help? BW: Definitely. It’s a big secret. First of all, it’s difficult to admit to ourselves that we’re alcoholics. I didn’t want to be an alcoholic. I wanted to control my drinking, and I tried for years and finally came to a point where I knew I needed to get help in order to get sober. I couldn’t do it alone. I was petrified of going to meetings in my neighborhood. There’s a house within a mile of my house where there are probably five or six recovery meetings a day. I didn’t want to go there initially. My first meeting was not in my town. I didn’t want to run into anybody I knew. I didn’t want anybody knowing I was an alcoholic. Renew: What would you say, looking back, was the best thing that you did? BW: The best thing that I did was I reached out and found a Twelve Step group. I opened up the phone book and found a Twelve Step program, called the hotline that listed meetings in the area. It’s very scary; it’s a daunting process for sure, to put yourself out there in that way, but that’s what worked for me. Renew: How did your recovery affect your relationship with your husband? I’m the one popping the bottle, [saying], “Oh, let’s just have one more.” I just thought we were on the same page with our drinking— until I stopped. And then I saw that he didn’t drink as much as me. And that was an eye-opener for me because he can have one or two beers or not even have a beer or a glass of wine a day. I was never a big beer drinker. I liked my vodka, and I liked my wine. We entertained and had people coming over for dinner. Outside of that, we didn’t keep wine or vodka in the house. He was very respectful to not buy alcohol that he knew I wanted to drink. I guess I really didn’t really have issues with him drinking in our home because he really didn’t drink much and still doesn’t today. When I stop and think about it, I didn’t want to stop my life. I didn’t want to stop socializing; I didn’t want to change up my friends or my social circle. I just wanted to learn to live normally in the world and just not drink and get plastered all the time. I was doing it as much for me as I was for him, continuing to hang out with the group of friends that first year that we socialized and drank a lot with. But I did get resentful when we’d go out with other people, and I was the only person not getting drunk. Renew: Did your socializing crowd change? BW: Yes. We definitely grew apart. The Kelly character, throughout that first year in the book, I began to see in a different light. I think she is a friend that a lot of people can relate to having. I can actually empathize with her because had I continued drinking and lost my favorite drinking buddy, I wouldn’t have liked it either. I’m sure I wouldn’t have acted in a way that I would be proud of today. We were part of this social group that, when I moved to the suburbs from the city, she brought me into. It was this playgroup that evolved into a book club. But we all started going our separate ways. Even though there was a damper in our relationship, Kelly and I were still friendly. Our children still played sports together. I’d see Kelly at these sporting events, and I was feeling very uneasy and uncomfortable because I wanted her to know about the book. I felt it was the right thing to do to give her a heads up and tell her about it. And so I did. And she really doesn’t like me anymore. Renew: Must have been a very difficult conversation. BW: It was probably one of the hardest things I’ve ever had to do. But today, I’ve just learned to face my problems head on and not run from them. Nobody likes hurting people’s feelings. But there are a lot of times that I felt like I should have said something to a friend of mine, but I didn’t because I didn’t want to hurt their feelings. When I really take a look at it, it wasn’t so much that I was afraid to hurt their feelings, as I was afraid of them not liking me. Renew: You lost your dad throughout this process. Tell me a little about how your recovery was affected by being an adult child of an alcoholic. BW: One of the things that I had with my father is that we were yellers and screamers with each other. If he got mad, he’d let you know it, and vice versa. In many ways, we’d get off our chest what we needed to. I never felt like I resented him. But with my mother and my sister and my husband, that wasn’t the case. And so those were the big relationships that I struggled with with my resentments. Renew: What have you learned about some of those key relationships that have surprised you? BW: My mother has really surprised me. My opinion of her has been elevated so much since my book came out because I know that there’s a lot of tough material for her to read in my book. She’s been very supportive and has been championing this book the entire way. My heart just feels like it’s expanding talking about her. My relationship with my mother today is probably the best it’s ever been because I could never share with her these things before, and now she knows how I feel. Now that she has read my book and can sit with it and digest it and hear me, it’s been wonderful for our relationship. Renew: You have practiced recovery for eight and a half years. What has been your largest lesson learned? BW: How I’ve come to expect how little control I have over things in my life. Basically, all I have control over is my own behavior. I don’t have control over other people, over outcomes—all I can do is control myself and my reactions. Today, I guess the biggest surprise, without getting too preachy, is the whole turning my will over to God and just kind of putting my head down and doing the next right thing. And how much better my life today is as a result. I used to be such a control freak. Today, I pretty much fly by the seat of my pants. That’s how I live my life today, and I love it. Renew: What would you say to others who suspect—who know in their heart of hearts—that they have a problem? BW: That it’s really worthwhile to quit. That life gets so much better when you get sober. It’s richer and fuller than you can ever imagine. I wasn’t living a quality life when I was drinking. I was anesthetizing, numbing myself day after day, sleepwalking through my life. And now that I don’t drink anymore, hands down, I’ve got a quality life today that I love. I feel every feeling, I’m there for my children and I can live in the present moment a lot more often. I felt like a zombie before, and I feel like a vibrant, alive person today. Everybody can have that. Brenda Wilhelmson was like a lot of women in her neighborhood. She had a husband and two children. She was educated and made a good living as a writer. She had a vibrant social life with a tight circle of friends. She could party until dawn and take her children to school the next day. From the outside, she appeared to have it all together. But, in truth, alcohol was slowly taking over, turning her world on its side. Diary of an Alcoholic Housewife offers insight, wisdom, and relevance for readers in recovery, as well as their loved ones, no matter how long they've been sober.